Lynn and Perry's son Justin Giddings is enjoying great success with the zombie thriller web series 'Bite Me'. The web series has skyrocketing reviews and over 14 million views on youtube. 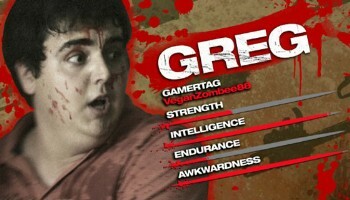 Justin plays Greg, one of three roommate gamers facing a zombie apocalypse. The show is currently in its second season and guaranteed to get you laughing. The three main characters comedic style combined with a hillarious zombie battle make perfect entertainment for any male between the ages of 15 and 40- and the women will like it too! If you haven't seen the series, grab some popcorn and check it out on the Machinima YouTube channel. Justin was recently interviewed for mentalswag.com. Congratulations Justin! We can't wait to see what the future holds for you! The Lynn Thomas Team is hosting an Open House this Sunday February 26th from 2:00-4:00pm at 11317 Prince George Court in Louisville, KY. Come and see this great home on a quiet cul-de-sac in Fincastle. The home features a good sized living room with a fireplace and built in shelving on either side. The kitchen is large with lots of cabinet and counter space. A sliding door leads from the kitchen to a big deck and fenced in yard. The home has 3 bedrooms, 1 bathroom, and a 1 car attached garage. Families will enjoy the short drive to The Summit Shopping Center and Tom Sawyer State Park! The Lynn Thomas Team is hosting an Open House this Sunday February 26th from 2:00-4:00pm at 7709 Adam Steven Circle, Louisville, KY 40220. Great four bedroom home in Bradford Grove with a bright and welcoming interior space. The home layout includes a great room, a formal dining room, and a large freshly painted kitchen. A nice covered deck is located in the back of the home. The large master suite contains a private bath and whirlpool tub. The basement is partially finished. 7709 Adam Steven Circle is conveniently located in Louisville's east end with access to Breckenridge Lane restaurants and shopping. Exclusive Home Buyers Event With Giveaways!!! The Lynn Thomas Team with Keller Williams Louisville East is hosting an Exclusive Home Buyer Event next Thursday March 1st 2012 at The Sky Bar at Saints. Those attending can enjoy savory free appetizers and a cash bar while learning a little more about the home buying process. Our entire team will attend this fun evening out and will be available to answer questions and provide information about the home buying process, financing, and the Louisville Real Estate Market. After the event, attendees can enjoy a Free Salsa Lesson with Gabe Scott and Live Music from Cosa Seria! The night will also include several awesome Giveaways and a grand prize I-PAD Drawing! contact us at csm@athomeinlouisville.com or call 502-371-1172. The Lynn Thomas Team is hosting an Open House this Sunday February 19th from 2:00-4:00pm at 1222 Royal Ave, La Grange, KY 40031. This ranch style home is located in the Majestic Woods subdivision of La Grange and features 3 bedrooms and 2 full bathrooms. The kitchen contains lots of cabinet and counter space and has black appliances. The spacious Great Room has beautiful vaulted ceilings. The Master Suite has a good sized walk-in-closet and private bath with dual vanities. 7119 Apple Orchard Ln. Crestwood, KY 40014 is a charming 3 bedroom, 3 and 1/2 bath Cape Cod located on a corner lot in the Poplar Hill subdivision of Crestwood, KY. The home sits on a little over a third of an acre and features lovely landscaping, a manicured lawn, and a fully fenced back yard. 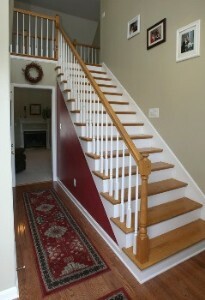 The two story foyer and half bathroom contain hardwood flooring. 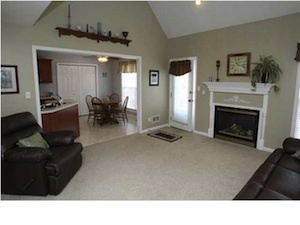 The Great Room is spacious with a vaulted ceiling and decorative fireplace. The Great Room also connects to a good sized back deck and opens to the Eat-In-Kitchen. The kitchen has loads of storage and counter space and is big enough to allow for family gatherings and prepping for parties. The home's Master Bedroom is located on the first floor and can easily accomodate a king sized bedroom suite. A laundry room is also conveniently positioned on the first floor. Two secondary bedrooms and a bonus room are found on the upper floor of the home. The Bonus Room would make a fabulous additional living room or even a study space for teens. The professionally finished basement is warm and welcoming with a separate bathroom and would make a fabulous guest suite or entertainment space. 7119 Apple Orchard Ln. 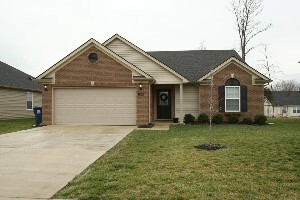 Crestwood, KY 40014 is a family friendly home with a great layout. 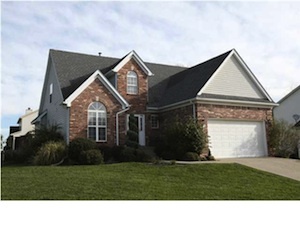 The home has lots of natural light and has been exceptionally cared for. 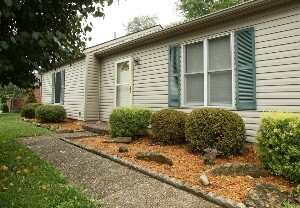 The current owners enjoy relaxing on the back deck and playing games in the backyard. With over 2500 square feet of living space, this house is sure to provide rest and relaxation to those who call it home. The Lynn Thomas Team is hosting an Open House this Sunday February 19th from 2:00-4:00pm at 7709 Adam Steven Circle, Louisville, KY 40220. This is a fabulous four bedroom home on a quiet cul-de-sac in Bradford Grove. The home's interior space is bright and welcoming with a great room, a formal dining room, and a large freshly painted kitchen. The home features a covered back deck and the nice master suite contains a private bath with whirlpool tub. A large partially finished basement is an added bonus for future owners. 7709 Adam Steven Circle is in an excellent location in Louisville's east end with convenient access to shopping along Breckenridge Lane. Come out this Sunday to see this charming home. Keller Williams Family Reunion 2012 Has Arrived! This week five members of The Lynn Thomas Team traveled to sunny Orlando, Florida for the Keller Williams Family Reunion 2012. Family Reunion gives Keller Williams realtors and administrators from around the country a chance to come together each year. Family Reunion provides a multitude of opportunities for continuing education, colleague support, and business growth. It is our hope that participation in this year's Family Reunion will deepen our team's knowledge, strengthen our presence in the Louisville Real Estate market, and most importantly help us to serve our clients better. What a great way to kick of 2012! The Lynn Thomas Team is thrilled to welcome our new Listing Partner Jeff Gapen. Jeff comes to us from RE/MAX and brings with him a wealth of knowledge and expertise in the Louisville Real Estate market. Jeff graduated from the University of Louisville in 1992 with a degree in Business and Public Administration. He began his career as a mortgage banker. Jeff started his Real Estate career in 1993 representing local home builders and developers selling new homes. In 2007, Jeff broadened his Real Estate scope of work to assist his clients list, sell, or lease their existing homes. Jeff and his wife Karen are blessed with three wonderful boys Jack, Will, and Sam. Jeff strives to balance his life with Real Estate and family time. Welcome to The Team Jeff! Valentines Day is right around the corner and residents of Louisville have many options to celebrate. A multitude of local restaurants are running specials to encourage couples to frequent their establishments. Mitchell's Fish Market is offering a special on their lobster dinner, Ruth's Chris Steak House is running a surf n turf special, and Corbett's is offering a special five course meal to name but a few. Those who would like an extravagant night out can visit the Seelbach Hilton on Tuesday February 14th at 6pm for their Musique Romantique performed by the Louisville Chorus. Tickets are $100 a person and include the performance, a silent auction, dancing, and a catered dinner. Those who would like a playful Valentines Day celebration can purchase singing Valentines from Pride of Kentucky Chorus. The group delivers fabulous singing Valentines to the home, workplace, or romantic location of choice annually. The Hyatt Regency is hosting a WhoDunnit Murder Mystery Dinner Theatre at 7pm February 14th. Couples frequenting the Bardstown Road area can enjoy some amazing chocolate fondue at Cocos Chocolate Cafe and take in a night of laughs at Comedy Caravan. 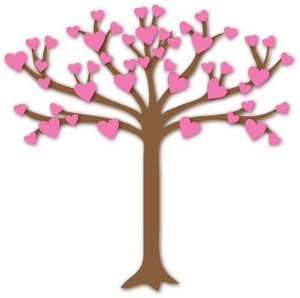 Here's to you and yours and have a great Valentines 2012. Well the voting has ended and if you didn't vote for Louisville as #1 in Southern Living Magazine's contest The South's Tastiest Town you should have! Lets all hope we win when they announce the contest results on March 20th 2012 online and release their April 2012 magazine issue! Louisville truly has some fabulous restaurants and offers a wide range of cuisine. Whether you are enjoying a Sunday brunch at The Bristol, treating your spouse to a delicious steak at Jeff Ruby's, or munching on a tasty lunch at Marks Feed Store or Lynn's Paradise Cafe you are taking part in the delightful southern hospitality of Louisville's finest. Be sure to stay tuned to Southern Living online to find out the results. This is one of many things residents of Louisville can take pride in. 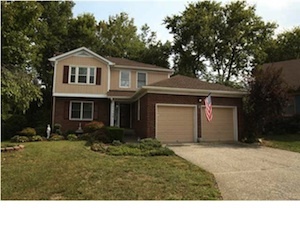 The At Home in Louisville Real Estate Group did a fantastic job of helping us to purchase our very first home! Our realtor, Terri Yeske, was extremely helpful in answering all of our questions, and was always available to speak with us whenever we needed to get in touch with her. She did everything she could to make sure we got the best possible deal on our home, and from start to finish we felt that she was on our side, fighting to keep us from making a bad deal. Shaunta Hamby also did an excellent job of keeping us updated as the process went along, and always made sure that we had signed and completed all necessary paperwork. We would absolutely recommend the At Home in Lou. Group to anyone who is in the market to buy, or sell, a home.